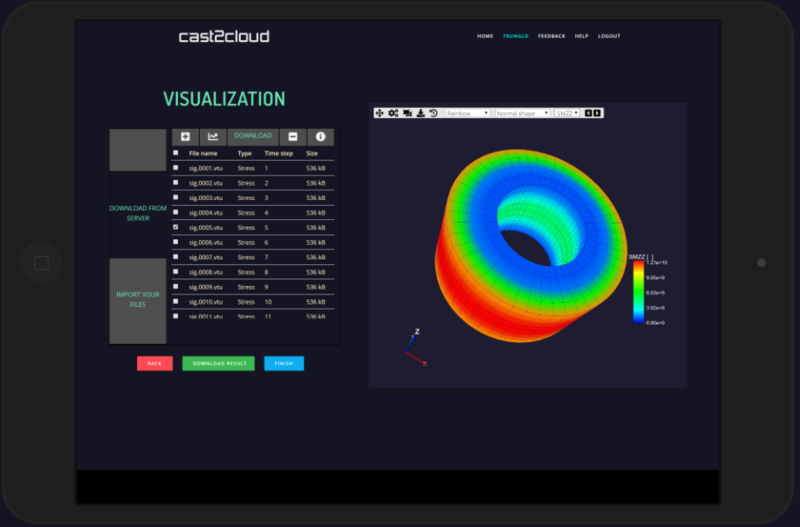 Cast2cloud is the perfect tool to start learning/ working/ teaching with Cast3M! No need to install any extra software. All you need is just an internet connection. We offer a platform to create your meshes, define your problems, run your simulations and then visualize your results. Simple interface to build complex FEM models without typing any line of code. Cast2cloud is available free of charge for all types of activities: studying, teaching researching or commercial activities. Create your own or import from your favorite platform. Define your mechanical / thermal problems with a built-in material library and multiple material behavior models. Demonstrate the problem by computing with Cast2cloud or connect to your computation server. Visualize simulation results directly from web browser. Do you need a specific model of Cast3M?